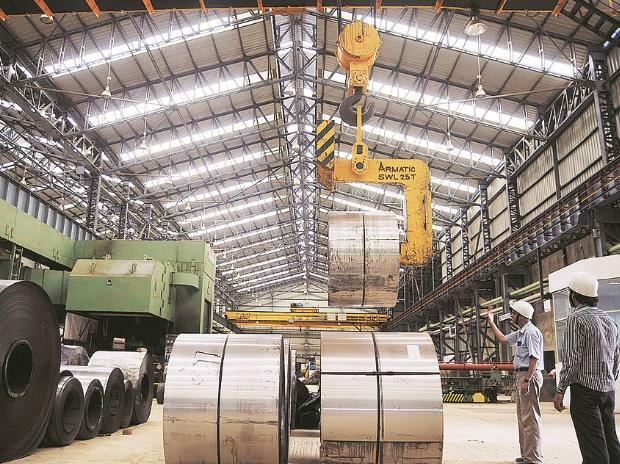 Tata Steel is placing its bets on digital and IT tools to optimise costs, enhance stakeholders’ experience and automate processes as it eyes the top slot in the industry in leveraging digital by 2025. The company’s digital focus is aimed at enhancing financial alacrity, cyber resilience, smart operations and earnings before interest, taxes, depreciation & amortization (Ebitda). The digital roadmap will be propelled by tools like artificial intelligence (AI), analytics, Virtual & Augmented Reality (VAR), Optical Character Recognition (OCR), Enterprise Data Management (EDM), Robotic Process Automation (RPA), sensorisation and chatbots. The steel manufacturer has built in-house data science capability with over 400 employees trained in data analytics, data engineering and Agile. More employees are in the process of undergoing training. “Our digital initiatives are expected to lead to deliverables like cost reduction, increased productivity, enhanced stakeholder experience and reduced time-to-market for its products. We have set off on key initiatives such as maintenance technology roadmap, energy management, customer facing digital platforms, integrated supply chain and integrated logistics”, said a company source. The string of digital initiatives has impacted the company’s key performance indicators (KPIs) like availability, reliability, costs, customer experience, cycle time and revenue. By deploying these digital initiatives, Tata Steel is eyeing outcomes such as predictive asset maintenance, smart operations, greener & sustainable operations at reduced costs, improved customer experience, enhanced value and an agile & responsive procurement process. Powered by technology, Tata Steel hopes to achieve scalable and fungible resources, event driven risk mitigation, intelligent process automation, insights driven business decisions and outcomes based commerce. Tata Steel's cash cost and conversion costs are one of the lowest among global peers. Its production for the December quarter of this fiscal grew 34 per cent year-on-year to 4.38 million tonnes (MT), buoyed by the acquisition and ramp-up of Tata Steel BSL. Branded products account for 21 per cent of its total sales whilst enriched or valued added product products contribute 70 per cent of the total deliveries. With a strong focus on innovation and research & development, Tata Steel developed 16 products in Q3 of this fiscal and commercialised five of them.